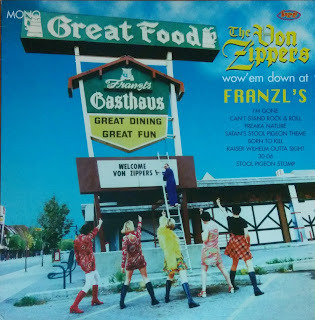 Gene says that as long as we're going for broke posting Von Zippers 7"s, we might as well go for broken and add their 10" to the mix. 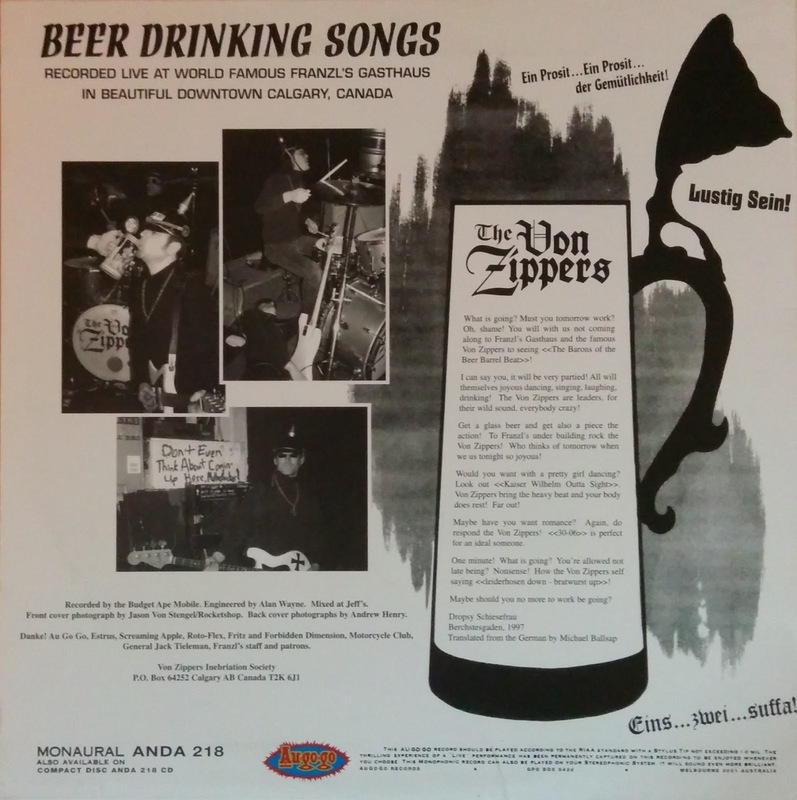 This is still one of our favourite Von Zippers non-7" records, mostly because it kicks through its 8 tracks in under 20 minutes, leaving you wanting another stein full of delicious lager (that adheres to the German purity laws, 'natch). 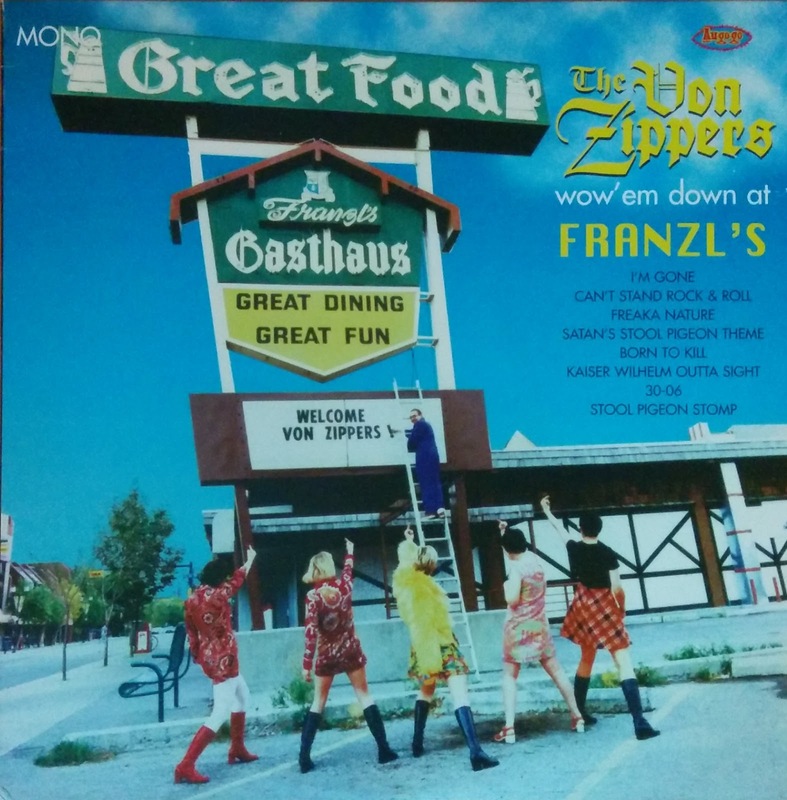 Grab this golden great from the days of thee original, pointy-hatted kaisers of garage rock.